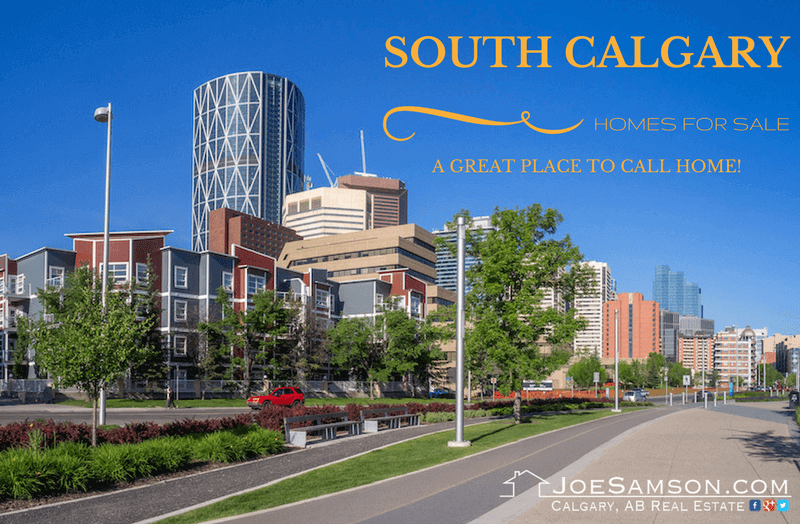 Browse listings of all South Calgary Homes for sale below! This part of Calgary is also known as SW Calgary, and the section of the area located on the east side of Macleod Trail is interchangeably referred to as SE Calgary by locals. This section of the city consists of multiple styles of homes, including a few high-rise condominiums, townhouses, single-family, and luxury properties. South Calgary consists of 39 residential communities which encompass a wide range of construction styles. This part of the city is considered to be some of the best locations to invest in my many real estate agents in South Calgary. The communities are primarily located south of Glenmore Trail connecting the eastern edge of Calgary all the way from the ring road of Stoney Trail and dovetail into Sarcee Trail on the west side of the City. The eastern communities of South Calgary are enclosed by a natural boundary of the Bow River. On the west, The Glenmore Reservoir and the future development of the SW Calgary ring road to run along the outside edge of Calgary. Newer construction homes in South Calgary can be found towards the southern boundary of Calgary as it seems to be the only available option for developers to acquire additional land. Although there is one future community which is planned to be developed on the West side of Calgary. The land is going to be called Providence and it was annexed way back in 1989, currently, it is still being used as a farmland, located adjacent to the neighbourhood of Evergreen. The new community of Providence is planned to be one of the largest residential areas of South Calgary with an estimated 40,000 people living there. Interestingly, the City had started planning this community back in the mid-1990s. However, the project was benched due to the uncertainty of the future development of the SW ring road. At this point, it is unknown when exactly are the first developments going to take place. However, the initial phase is projected to break ground sometime in 2018. Although it is broadly known that the actual start date heavily hinges on the manifestation of the ring road and ideal economic conditions, especially the ability of the City to fund future infrastructure expenses for new developments. For more information about new developments, be sure to contact a REALTOR in South Calgary who specializes in the communities that are being currently developed. We would love to answer all your question when you like us to. The unprecedented influx of people to Calgary had fuelled Calgary’s construction industry, and newly established suburb communities had pushed the city’s boundary further south, creating several new neighbourhoods to be developed. Chaparral Valley located next to the community of Chaparral, south of Highway 22X and directly east to the Bow River, right next to the Blue Devil’s Golf Club. Construction of new homes began in this community in 2009 and was mostly completed by 2015. South of Chaparral can be found the new community of Walden with contemporary built single-family homes along with several non-condominium style row houses. The community is a modest size area in South Calgary where residents can conveniently access new amenities just off of 194 Avenue. Further south, the new community of Legacy is located with two man-made ponds and elegant homes built around it with walk-out basements backing onto them providing comfort and a natural reserve to enjoy. The neighbourhood of Legacy is currently under development and is planned to offer multiple varieties of home styles such as low-rise multi-family apartments, single-family houses, townhouses and even luxury home styles for buyers to choose from. Buyers looking in South Calgary are going to find many great solutions to equally fit their budget and satisfy every aspect of their lifestyle. While most condominiums in South Calgary are strategically constructed along the LRT line, there can be many multi-family homes to be nestled in-between single-family areas in the outlying communities. Homes located closer to Calgary’s city centre in South Calgary were constructed starting in the late 1950s, and as the city had grown, it witnessed a natural expansion of newer homes to be built on the outskirts of the city and this ripple effect of the construction trend still continues today. 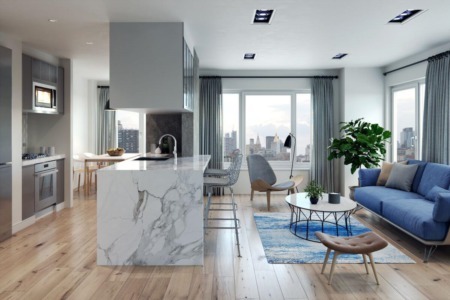 Although many homes in established communities are perceived as original construction, homeowners are commonly updating and often fully renovating properties to keep up with current real estate trends. The majority of properties built in this part of Calgary was in the 1950s and 1960s which consists of bungalow-style houses and 10-20% of the homes were 3 and 4 level split designs at these types of property styles were in high demand at the time. Generally, their sizes were limited to be less than 1,350sq.ft. on average. In contrast to today, when most newly built homes are two-storey type buildings with an average size of around 1,840sq.ft. From the beginning of 1970, the demand for bungalows had started to diminish and new homeowners were more interested in transitioning into building larger homes. As the city expanded, lot sizes had begun to decrease and in the 1990s the area had been witnessing a change in construction styles and more home buyers had been won over by builders to construct 2-storey homes instead of bungalows. It is estimated that constructions costs can equal to be at least 10 percent lower than any other types of properties for two-storey houses. According to local REALTORS in South Calgary, real estate trends have always been changing since the beginning of time, and economic fundamentals mostly drove them. Currently, the City of Calgary is doing all they can to encourage developers to construct more multi-family properties to slow down the rapid expansion of the city and allow infrastructure costs to be reduced going forward. Looking forward to the future, it is expected that condominium ownership is going to be preferred by a higher number of first-time home buyers that we had seen before. Real estate located near the Glenmore Reservoir, nearby Fish Creek Provincial Park, homes backing onto the green pastures of local golf courses, and natural surroundings have always been in high demand throughout the neighbourhoods of South Calgary. As a result of the popularity of Luxury Homes in South Calgary, buyers often find it difficult to find the right match and it often takes some perseverance for new listings to enter the market and options are usually scarce when it comes to selecting a multi-million dollar property to match their desires. Be sure only to consider working with a luxury real estate agent in South Calgary who highly specializes in the neighbourhood. Average home prices in South Calgary at the beginning of 2016 were $429,689. On average, it takes approximately 47 days for a residential listing to go under contract. Home buyers in this part of Calgary need to be well prepared when presenting an offer as the average home seller had only allowed negotiating $13,460 off of their asking price or the list to sale price ratio was 96.9 percent. South Calgary has higher home prices when compared to homes located on the east side of Calgary, and it can be translated into being an area of high demand. Buyers are encouraged to visit numerous open houses held by REALTORS in South Calgary to compare prices and to explore multiple options available to them. Future real estate developments beyond city borders towards the west are very limited due to the territory occupied by the Tsuu T’ina Nation since the 1700s. The City of Calgary had faced many challenges in the past with the growing communities in South Calgary. Restrains of public transportation and suburban commuting had a become a daunting task for residents. City of Calgary and Province of Alberta government officials had been negotiating with the Tsuu T’ina Nation for decades to allow construction of the SW Ring Road to ease traffic pains. However, in 2009 due to a rejected referendum by the Nation, all hope of an agreement to transfer a portion of their land to build the road had diminished. Over the course of the following years, some members of the Nation had protested their previous decision, and in 2013, by another referendum, they have approved the land transfer to take place. This has made way for the badly needed Ring Road. The core transportation method in South Calgary is the LRT, otherwise known as the C-train, which connects West, Northwest and Northeast Calgary. It also serves as the primary choice of public transportation for most residents working in downtown Calgary. From the South end of Calgary at Fish Creek Station, it takes approximately 40 minutes to reach downtown Calgary. Depending on traffic conditions, to travel the same distance by vehicle, it is expected to take between 40-60 minutes to drive on a typical weekday. Braeside houses are more affordable compared to some of the other areas in South Calgary. Annexed to the City of Calgary in 1956, there are over 6,000 residents enjoying their homes. The nearby Glenmore Reservoir serves as a great recreation area with a rowing club, bike paths, plenty of parks and Heritage Park located nearby. One of Calgary's newest communities, Bridlewood properties mainly consists of starter homes, condominiums and move-up homes are available as well. Bridlewood condos are conveniently located adjacent to the Somerset station at the south end of the LRT transit system. Residents also have access to the Fish Creek Recreation Centre, which includes a YMCA and a public library. There is a multiplex theatre nearby on MacLeod Trail. The wetland area on the northwest corner of 14th Street and Highway 22x, complete with viewing stations, is popular with wildlife enthusiasts. Homes in Canyon Meadows were started to be developed in the 1960s, though most occurred during the 1980s boom years. Many single-family Canyon Meadows homes have large lots with mature trees and shrubs. The high-end Bentley condominium complex offers luxury amenities with lovely views of Fish Creek Park. Canyon Meadows is a true gem in South Calgary, and it’s located in the SW part of the city. First developed in 1963, Canyon Meadows offers a lot of variety when it comes to homes. You can find single family homes, low-rise apartments, and beautiful condominiums all next to each other in this section of Calgary. It’s also known for being one of the most kept secrets in Calgary, making it a perfect pick for luxury home buyers. This beautiful location offers residents the ability to enjoy many different recreational amenities, as well as great views of the eclectic style of the area's layout. The residents in Canyon Meadows are known for being friendly, welcoming, relaxed, and decidedly hip. It's also worth mentioning that not all the homes in Canyon Meadows Estates reflect the old styles of the 60's. Many have been updated and upgraded to suit more modernized audiences. Evergreen is a remarkably safe and low crime rate area. It's also a perfect place for people who want to have peace of mind while still enjoying all the hustle and bustle of the city. Overall, it's easy to see why Evergreen is such a sought after section of South Calgary real estate. There are plenty of stunning parks to tour through in the Evergreen area. Fish Creek Provincial Park is located north of the community, and it's known for being an excellent location for bike riding, walking, and jogging. You can also go swimming at the beach in the not far away Sicome Lake. Built in the 70's, Lake Bonavista was developed to offer residents lakefront property with the convenience of nearby city amenities. A variety of shopping choices are located just minutes away. A drive down MacLeod Trail will take you to many popular big box stores, Avenida Mall, and Southcentre, north of Anderson Rd. For a small recreation fee, residents of Lake Bonavista homes can enjoy use of all 52-acres of Lake Bonavista. The leisure centre provides fitness facilities and a wave pool. Willow Park and Maple Ridge golf courses are just up the road, along with several movie theatres, and restaurants. Once a town in its own right, Midnapore became part of the city of Calgary in the early 1960s, from which point it has developed into the popular residential district it is today. Although it is an established neighbourhood, many Midnapore homes have a distinctly rural feel thanks to the close proximity of the impressive Fish Creek Provincial Park and Midnapore Lake. For those homeowners who enjoy both a taste of the country and the benefits of urban amenities, including a shopping mall and excellent leisure facilities, Midnapore, Alberta, provides the ideal location. With quiet streets and cul-de-sacs, Parkland homes provide the perfect sanctuary from the hustle and bustle of city life. The neighbourhood nestles alongside the wildlife-rich Fish Creek Provincial Park, one of the largest urban parks in North America. Parkland house owners are conveniently placed for access to trails and amenities within this protected wilderness. And with excellent access to Calgary's exciting core, via nearby major highways and transit links, it's easy to see why this sought-after neighbourhood attracts a wide variety of home seeker. Silverado qualifies as one of Calgary’s newest residential communities located north of Marquis of Lorne Trail (aka: Highway 22x). "Greenfields in Silverado" is very much the motto of this young community. The feeling of the neighbourhood here is influenced by the ranching history of the nearby Spruce Meadows. Real Estate in Silverado reflects an evolving community which mostly consists of homes less than 10 years old. Somerset properties rest in this residential neighbourhood made up of mainly single-family homes, with some attached, and townhouses in the South section of Calgary. Spruce Meadows, a world-famous equestrian championship facility is to be found heading towards the south and crossing the Highway 22x which borders Somerset. Homes in Somerset are located minutes from the Shawnessy shopping centre where you will find cinemas, multiple grocery stores, library, YMCA and one of Calgary’s largest hockey arena. The community of Sundance is cuddled around an artificial lake at the centre of the neighbourhood. The 33-acre Lake Sundance is surrounded by parkland that includes a picnic area, waterfall, beach, fishing, wading pool, 2 playgrounds, horseshoe pits, basketball court, beach volleyball court, paved rink for rollerblading and a paved walking path. In the winter, Lake Sundance transforms into a neighbourhood ice rink The residents of Sundance also share a community centre with the neighbourhood of Midnapore, and are close to the public beach at Sikome Lake. Walden real estate features a number of home styles and types of lots for that perfect home. Currently, prices start in the mid $300's to the low $800's for houses ranging in size from 1,755 to over 2,500 square feet. Walden homes can be custom ordered, reflecting your personal colours and layout preference, or completed houses are available for quick possession. Although everyday conveniences are just minutes away, residents may feel like they've returned to "Walden Pond", with all the open spaces, wetlands and green space that this peaceful setting offers. Whether you're looking for a relaxing day at Lake Chaparral or an afternoon of shopping at Shawnessy Town Centre, the options are there. The community of Woodbine in South Calgary is bordered by Anderson Rd. on the north side, 14th St. on the east, 37th Street to the west and it connects with the north edge of Fish Creek Provincial Park. This is a quiet, scenic area with Fish Creek Provincial Park bordering the south and the Canyon Meadows Golf and Country Club in the northeast border. Both of which provide excellent opportunities for recreation which include the Bow River pathway system, indoor pool in Canyon Meadows, two wave pools, the Southland Leisure Centre and the Family Leisure Centre. Homes in Woodlands to a great extent consists of single-family homes built in the 1980's and some townhouses. This is a quiet area with some Woodlands homes backing onto the golf course or preserve. This is a scenic community that benefits from its parkland borders (Fish Creek Provincial Park bordering the south and the Canyon Meadows Golf and Country Club in the northeast border). Both of which provide excellent opportunities for recreation which include the Bow River pathway system, indoor pool in Canyon Meadows, two wave pools, the Southland Leisure Centre and the Family Leisure Centre. There are three major shopping centres that South Calgary homeowners can enjoy. All the way down in the Shawneesy area is where the entertainment hub of the suburban communities is located. Multiple grocery stores, such as Safeway, Sobeys, Co-op, and Superstore can be found here. In addition to this, there are numerous restaurants, friendly pubs, and a vast amount of strip-mall-style stores. The recently renovated Southcentre shopping mall and the professional building is located just off of Macleod Trail and Anderson Road. There is no shortage of boutique shops, restaurants, and major fashion outlets at this location. Entertainers can often be found to take centre stage in the middle of the mall. Just north of this is the Willow Park Shopping area, where nearby residents enjoy visiting specialty stores, home-style restaurants, and local coffee shops. Deerfoot Meadows is the newest addition to the city that quickly became a favourite shopping area for many. It provides the home for over 40 stores, including big chains like Costco, Walmart, Superstore, IKEA, and much more. It can truly be an enjoyable experience to visit these stores and conveniently complete all shopping in one location. In Avenida Village with shops that can’t be found anywhere else and plush landscaping, shoppers get an uptown feel while remaining in South Calgary. This shopping mall features a wide array of businesses, such as Bodythings, Boston Pizza, Oxford Learning Outlet, a dentist, a pet clinic, and many others. The Canyon Meadows LRT Station is also nearby, making this a transit-friendly destination. Another favourite among residents is the Deer Valley Shopping Center. This is located just off of Canyon Meadows Drive and shines due to the wide range of businesses and abundant parking. Shoppers can expect to find recognizable favourites such as Starbucks and Big T’s BBQ, but there are many other businesses including Lighthouse Pub, Bow Bottom Veterinary Hospital, The Sushi Bar and Rose Garden. There's also an insurance office, bank, chiropractor, and dental office in the same mall so shoppers can truly get everything done at this location. The recreational opportunities in South Calgary seem to be endless. There are multiple golf courses like the newest Blue Devil Golf Club, which offers spectacular views of the Bow River valley. The Maple Ridge Golf Course is located north of Anderson Road and provides high-quality golf experiences to anyone who visits. The course takes you through an unforgettable experience of magically nurtured gardens and professionally manicured backyards with high-end estate style properties along its edges. The Canyon Meadows Golf Club had first opened its doors in 1957 and took close to 60 years in 2015 to become world famous for hosting the PG Tour of Shaw Charity Classic. The Fish Creek Provincial Park is the largest public area not only in Calgary but it’s also well known for being one of the biggest urban parks in all of North America. Within this park, visitors can enjoy the 80 kilometres of maintained paths that offer numerous hiking trails and bike paths along heavily treed areas. It is located inside a formal river bed which is now only a creek winding its way through the beauty of nature. Both young and old can find their joy in this area from activities such as family picnics, playing ball on the green fields, grilling hot-dogs, or roasting marshmallows over open fires. It's bordered on the west by the Tsuu T'ina Nation (Sarcee) and all other sides by the city. It joins in with the Bow River just off the east side of the park and spans almost the entire width of the city. Residents of Lake Bonavista, Midnapore, Sundance and Chaparral can enjoy year-round benefits of residing in a lake community. All of these lakes are man-made, yet they offer perfect harmony for anyone who likes to have fun riding a canoe or go fishing for stocked trout in the summer. In the winter the lake remains open for skating and playing hockey, which is a favourite for many Canadians. There are community centres located right next to the lake and they are available for rent to anyone living in the same community. It is the perfect venue for family reunions, birthday parties, or any type of gathering for friends and relatives. Within the Fish Creek Provincial Park lies the Sikome Aquatic Facility, which is commonly called Sikome Lake. It was part of the Bow River Basin and was first opened back in 1978. Surrounded by beautiful trees and open for barbecues in the permitted area, this is a great place for families to hang out. Visitors can swim and lounge around, although it should be noted that life jackets are a strict requirement for children six and younger. The Cardel Rec South Complex is located next to the Shawnessy Shopping centre. The centre is interconnected with Calgary Public Library, Bishop O’Byrne Senior High School and with YMCA as one facility. On an average day the recreation centre receives 5,000 to 6,000 visitors that play or attend organized hockey games, take skating lessons and use the fitness centres. Southland Leisure Centre is located in the community of Palliser and is equipped with one of Calgary’s biggest indoor water parks for families to enjoy year-round. The facility offers two hockey rinks, wall climbing, gymnastic lessons, well-equipped weight training equipment, and squash and racketball courts for all of its users. South Calgary is also home to another recreational facility named Trico Contre, which is located east of Southcentre Mall on Anderson Road. The building has gone through a series of updates and is sponsored by Trico Homes, as the name suggests. The indoor swimming pool operates year-round with a wave pool and water slide. The fitness centre is claimed to be state of the art with a running track. A hockey arena is located inside and can be used for recreational hockey, minor hockey league tournaments, training, and skating lessons. Styles and prices in the South range from starter homes in the suburbs to estate properties closer to the downtown core. There are over 40 communities in South Calgary including some of the wealthiest and most sought-after communities such as Bel Air, Elbow Park, and Upper Mt. Royal. The South section of Calgary counts approximately 4 recently developed communities and offers real estate that ranges from the starter prices to luxury homes. You may find single-family homes that sell as low as $350,000. This area has a lot of public amenities and activities that residents can enjoy. This area offers great potentials when it comes to real estate. Anyone who has a keen interest in purchasing a home in prime location, then they will want to consider the numerous options offered by this part of Calgary. First off, the communities in South Calgary are very dynamic that includes upscale real estate located in beautiful surroundings that features mature trees and allows wonderful views of the mountains and the Skyline of the city. The beautiful landscape isn't all that this section of Calgary has to offer; it has everything including recreational facilities, sports fields, tennis courts, community associations that plan various activities of fun and community gatherings. You'll find plenty of Golf Courses, walking trails, wonderful spots for picnics and shopping opportunities are everywhere in this part of Calgary. Schools in South Calgary are well developed and managed by the Calgary Board of Education. Every community has its own designated schools districts. While most communities host their own schools, the newer communities towards the south share schools with their neighbouring communities and children frequently need to ride schools buses. There are many sporting facilities for those living in South Calgary. The Maple Ridge Golf Course is located in this area as well; you'll find 5 other golf courses that are accessible to residents in around here. There are many shopping conveniences, including 14 retail centres. Southcentre Mall is one of the largest malls in this area with close to 200 stores. There are around 40 stores in Deerfoot Meadows which is also a great place for shopping in South Calgary. There are many arterial roads that serve the community, including the LRT which has a line near the Macleod Trail. It is one of the most affordable and quick means of transportation for residents living in the South section of the city. Besides the beautiful attractions and recreational facilities, Southwest Calgary also enjoys a lot of public amenities. Some of them include Rocky View General Hospital with a 24-hour emergency service, coronary units, intensive care, and special care nursery. The hospital is located just north of Heritage Park. On the south side of Glenmore Trail, you'll find the Glenmore Reservoir which supplies water to homes and businesses in the entire City, it is also used for flood control and it is one of the most popular places for recreation and sailing within city limits. The Reservoir is commonly used by the Calgary Rowing Club, The Calgary Canoe Club, and the Glenmore Sailing Club for various activities. North Glenmore Park is found on the northern side of the reservoir and has many attractions and recreational facilities. South of Glenmore Reservoir, you'll find South Glenmore Park which is another beautiful place for residents to relax and enjoy family activities. Another great entertainment choice is the Grey Eagle Casino and Bingo, built on the reserve of Tsuu Tuna First Nation which is located on the western edge of the West. Residents of the South have easy access to Fish Creek Provincial Park for more recreational activities. The park features plenty of grassland and forest for adventurous hiking trails and bike paths. This park is also one of the largest in North America that is located inside city limits. The Rocky View General Hospital is located in a peaceful setting on the eastern banks of the Glenmore Reservoir with easy access off of Glenmore Trail via 14th Street. The hospital is one of Calgary’s original medical facilities and has recently gone through a major renovation, which includes the addition of a multi-storey parkade and the Southern Alberta Institute of Urology. Transportation is very easy due to the abundance of arterial routes that connects many communities and that links the rest of the city together. Macleod Trail runs between Southwest and Southeast Calgary. Heading south, this road continues outside the city and becomes Highway 2 which leads to the US border. Glenmore Trail is another major transportation road that connects into Deerfoot Trail. Access to downtown Calgary is also possible by the Bow Trail. Highway 1 and Glenmore Trail connects through the Sarcee Trail. The C-Train (Light Rail Transit system) also serves South Calgary and recently completed its extension to the west side of the city.